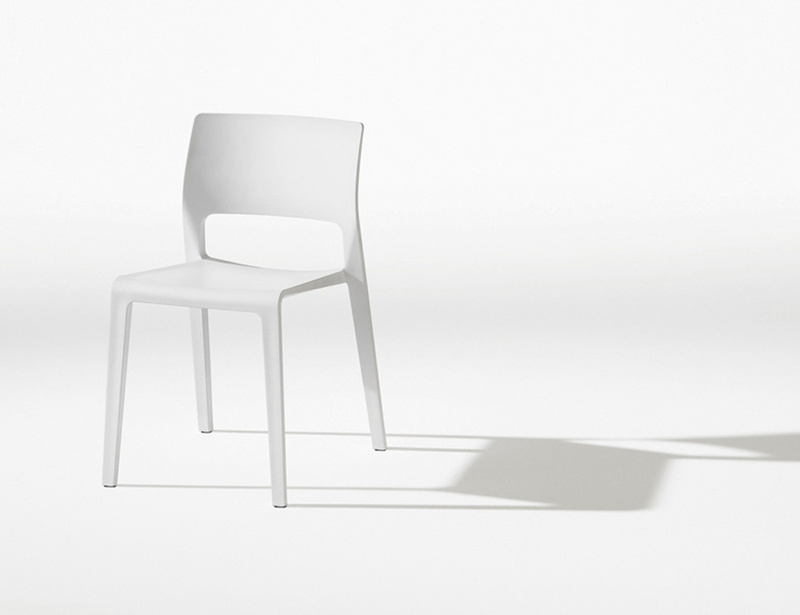 With Juno, plastic chair has come of age. 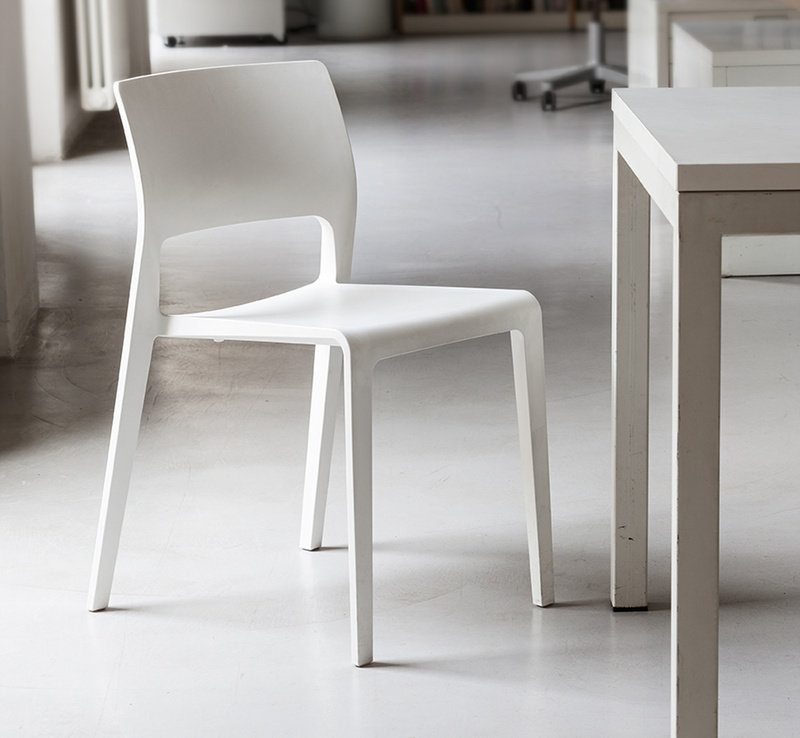 Cast in a single form, it has fluid lines and a light profile, in silhouette and weight. It enjoys all the benefits of simplicity and uniformity but with a clever twist. With its singular, simple shape, Juno brings efficiency and customization together in unique combination. 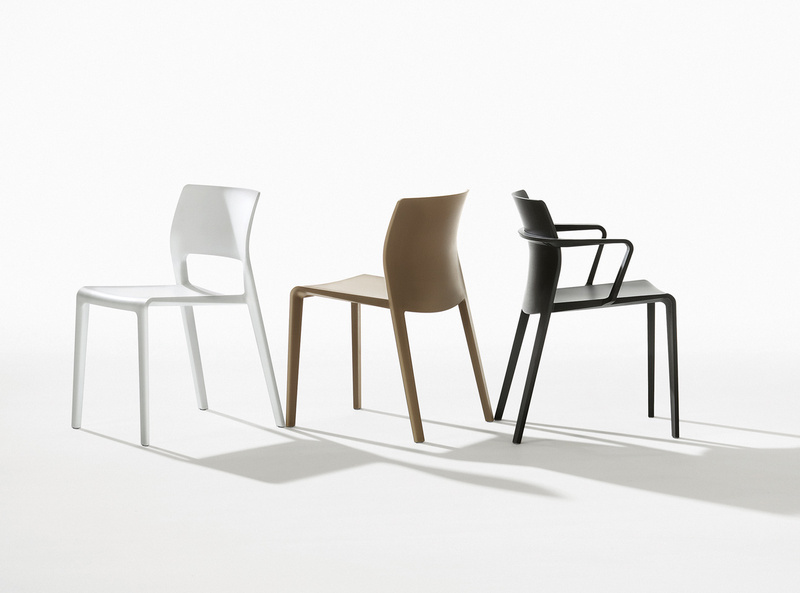 Made for both residential and contract use, indoors and out, Juno is a single-shot molded plastic chair available in four forms: solid back and open back, both with and without armrests.